Halloween is just around the corner and this year I am going to be hosting my first ever children's Halloween party! With this in mind I have been chatting to James about Halloween and what better way to convey the fun of Halloween with a great child friendly book! 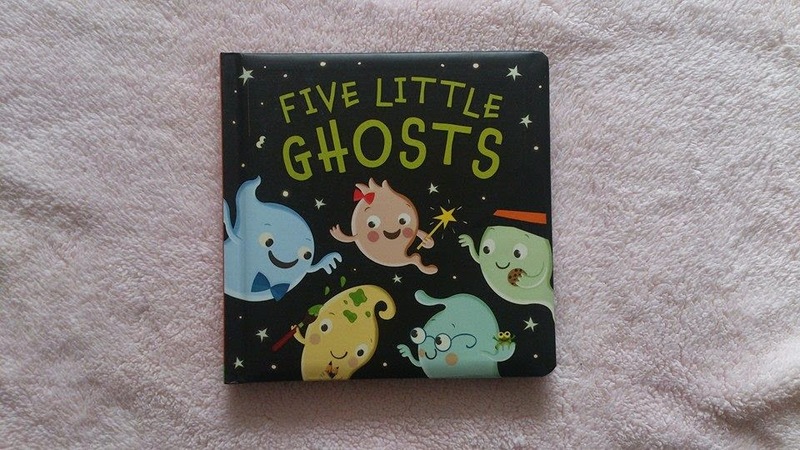 The lovely people at Little Tiger recently sent us one of their new Halloween books to try out with James called "Five little ghosts". Five little ghosts is written by Patricia Hegarty and Illustrated by Julia Woolf.
" Five little ghosts at the end of the day, are on the lookout for somewhere to play! 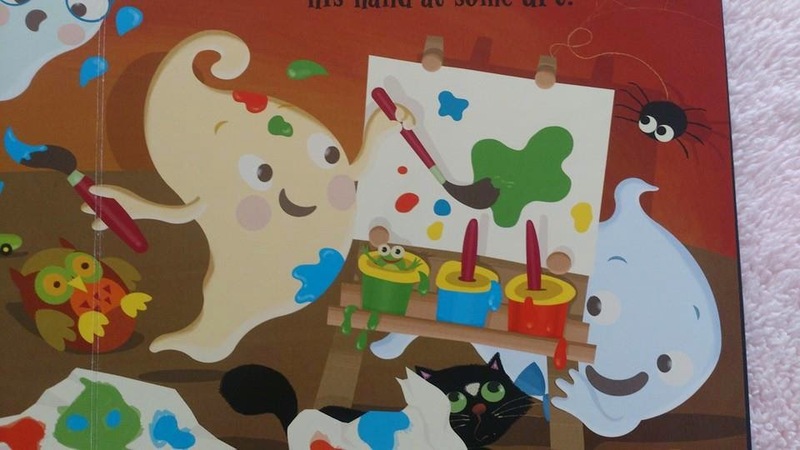 Follow the adventures of 5 little ghosts in this comical rhyming caper." This book has a cute rhyming rhythm going through the book making it a fun and quirky story to read. 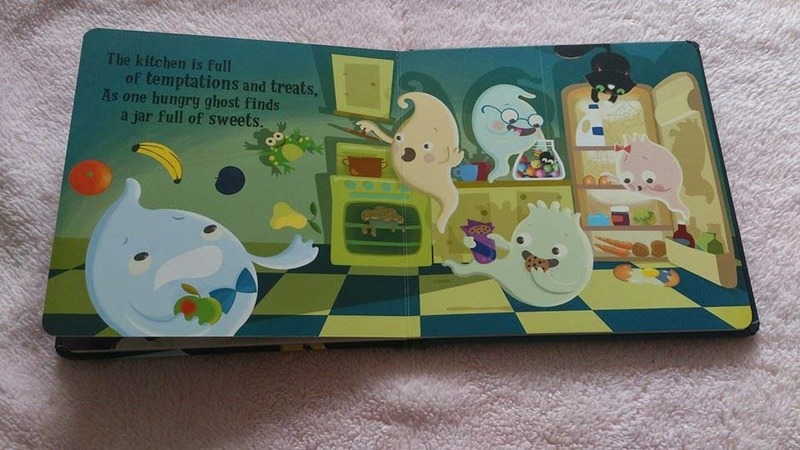 The Five little ghosts story book features lots of brightly coloured, fun pictures that really capture the imagination. My little boy loved looking at the pictures whilst listening to the storyand was quite happy sitting and looking at the pictures after we had finished the story. The book is made up from a very thick front and back cover and then sturdy cardboard pages inside. 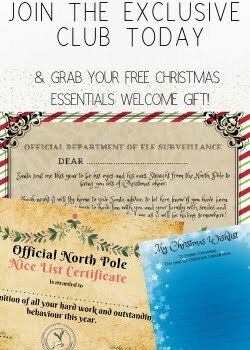 Great for little hands to turn the pages as I often find paper pages get torn to easily with little children eager to turn the pages! I loved the fact the book introduced Halloween to young children in fun, friendly way and although it is "Halloween" themed it is definitely a book we will be keeping on our book shelf to be read all year round. Do you fancy treating your children to something a little different this Halloween why not treat them to a lovely Little Tiger Halloween book!